We work & partner with multiple businesses across the globe. Pacer Technology Private Label is a global leader in retail private label of Super Glues, Epoxies, Stationery Adhesives, Adhesive Clip. Pacer Technology Inc. engages in the design, manufacturing, and distribution of retail private label adhesives and sealants. Use: Expresstrain for work instructions, training and performance support job aids. Ottawa Community Housing Corporation is the largest social housing provider in Ottawa, and the second largest in Ontario. Ottawa Community Housing Corporation provides close to 15,000 affordable homes for about 32,000 seniors, parents, children and persons with special needs. Stuart-Dean Co. Inc. provides architectural restoration and maintenance services. Its services include glass, metal, stone, and wood restoration. Stuart Dean offers the highest level of expertise in the industry. Use: Expresstrain for standards and training for operations and implementation services. Johnson & Johnson offers consumer health care products for baby care, skin and hair care, oral care, nutritionals, pain relief, wound care, and more. J&J is a three-sector health care company based out of New Jersey. J&J’s consumer, pharmaceutical, and medical devices and diagnostics products touch millions of people every day. Use: Expresstrain for visual work instructions, training programs and job aids. Hartsfield-Jackson Atlanta International Airport (airport code ATL) is the world’s busiest serving 90 million domestic and international passengers. Hartsfield–Jackson Atlanta International Airport, known locally as Atlanta Airport, Hartsfield, or Hartsfield–Jackson, is located seven miles south of the central business district of Atlanta, Georgia, United States. 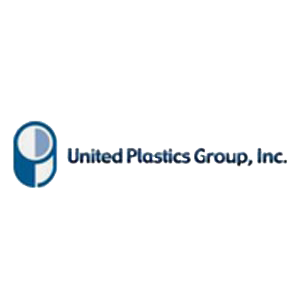 MedPlast, Inc./ UPG is a leading provider of highly engineered custom plastic processing solutions serving the global Healthcare market. We apply materials expertise in thermoplastics and elastomers to develop processing solutions for medical components and devices. As a single source supplier with a stringent Quality system, we mitigate risk and complexity in our customer’s supply-chain. Because we function as an extension of our customers’ manufacturing operations, our customers are able to focus on what they do best as a manufacturer and marketer. MedPlast can take a project from design and development through manufacturing to finished goods (FG). This includes engineering, mold design & build, prototyping, and assembly. We also handle testing, packaging, contract sterilization and shipping, all provided within an integrated program management framework. projects in critical facilities, data centers, athletic, and office facilities. Dubai, United Arab Emirates – a regional office of Syska Hennessy Group, Inc. a global consulting, engineering and commissioning firm. Use: Expresstrain for development of SOPs and job aids for large engineering projects in Mena. SCME’s professional development programs, kits, and web presence allow educators to adopt, adapt, and customize educational materials to meet the needs of their students and local employers. 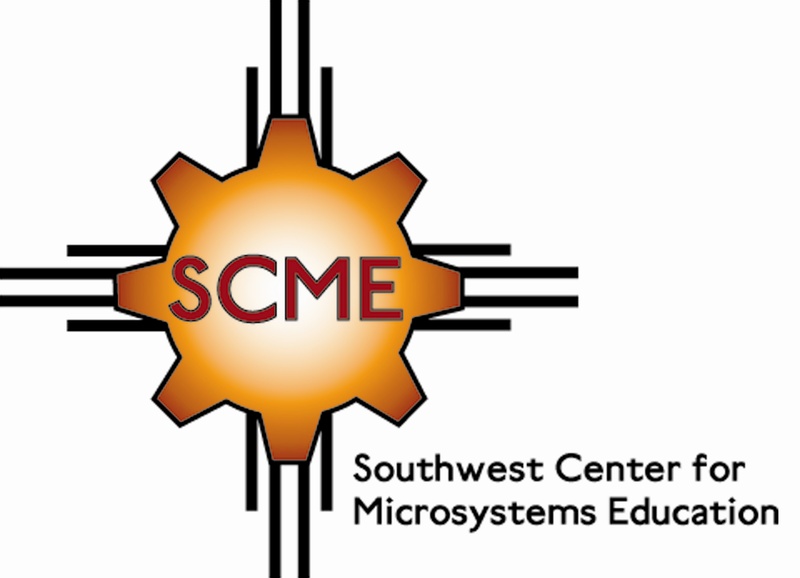 Since SCME’s 2004 inception, more than 400 educators have participated in SCME’s cleanroom fabrication and hands-on workshops. Surveys of workshop participants from 2009 to 2013 indicate that at least 2,000 secondary school students received more than 20,000 hours of microsystems instruction, while 1,600 postsecondary students received more than 12,000 hours of MEMS learning. In recent years the number of downloaded SCME learning modules has doubled to 5,000 per month. Meanwhile, the number of views of SCME YouTube videos has surpassed 1,500 views-per-week. 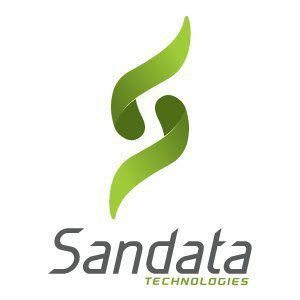 Sandata has over 3,500 agency clients in 50 states that use our products in more than 200,000 homes daily to verify over 75 million visits annually. PSE&G is one of the largest combined electric and gas companies in the United States and is also New Jersey’s oldest and largest publicly owned utility. The Public Service Corporation was formed in 1903 by amalgamating more than 400 gas, electric and transportation companies in New Jersey. It was renamed Public Service Electric and Gas Company in 1948. PSE&G is the largest subsidiary of PSEG. Nabisco is an American manufacturer of cookies and snacks. Headquartered in East Hanover, New Jersey, the company is a subsidiary of Illinois-based Mondelēz International. Nabisco’s plant in Chicago, a 1,800,000-square-foot (170,000 m2) production facility at 7300 S. Kedzie Avenue, is the largest bakery in the world, employing more than 1,500 workers and producing some 320 million pounds of snack foods annually. Its products include Chips Ahoy!, Oreos, Ritz Crackers, Wheat Thins, Nutter Butter, for the United States, United Kingdom, Mexico and Venezuela as well as other parts of South America. Merck With an enduring focus on innovation and sound science, we work to deliver vaccines, medications, and consumer and animal health products that can help millions around the world. Merck invests billions of research dollars to find medicines that can help improve lives. Today, Merck has more than 50 prescription products in key therapeutic areas, such as cardiovascular disease, respiratory disease, oncology, neuroscience, infectious disease, immunology and women’s health. Johnsonville Sausage LLC produces Italian, breakfast, smoked, snack, and cooked sausages. It also offers cooked and skillet-ready meatballs, and brats. It serves customers through retail stores in the United States, Japan, France, Mexico, and Canada. Johnsonville Sausage LLC was founded in 1945 and is based in Sheboygan Falls, Wisconsin. Johnsonville Sausage uses ExpressTrain to capture Standard Operating Procedures (SOPs), and generates Work Instructions, Job Aids and Checklists to support operations. Johnsonville has included videos in their training lessons to enhance better understanding and improved operation. The organization brings together the faculty, physicians, and scientists of the School of Medicine with professionals. Department of Molecular Biology & Genetics consists of fourteen laboratories and over 200 people, including faculty, students, postdoctoral fellows and staff. Our mission is two-fold: the advancement of knowledge through basic research in molecular genetics and the development of the next generation of biomedical scientists. Independence Blue Cross is the leading health insurer in southeastern Pennsylvania, serving more than 7.5 million people nationwide, including 2.2 million in the region. IBX is enhancing the health and wellness of the people and communities served by delivering innovative and competitively priced health care products and services; pioneering new ways to reward doctors, hospitals, and other health care professionals for coordinated, quality care; and supporting programs and events that promote wellness. Independence Blue Cross is an independent licensee of the Blue Cross and Blue Shield Association. Givaudan is the global leader in the fragrance and flavor industry, offering its products to global, regional and local food, beverage, and consumer goods. Givaudan Flavors Corporation engages in the research, development, manufacture, and sale of fragrance and flavor products. Use: expresstrain across several locations for SOP, work instructions, training and job aids. Use: Expresstrain for SOPs, work instructions, training and job aids. The Global Leader In Eye Vitamins For Your Eye Health. Produces soft contact lenses and lens care products. In May 2013, Valeant Pharmaceuticals agreed to buy Bausch & Lomb from Warburg Pincus LLC for $8.57 billion in cash. The deal, which was approved by share holders, included $4.2 billion earmarked to pay down Bausch & Lomb debt, and closed on August 5, 2013. Today, the company is headquartered in Bridgewater, New Jersey, and employs about 13,000 people in 36 countries. Astronautics Corporation of America is a global leader in the design, development, manufacture, and integration of state-of-the-art equipment, electronics and systems for air, space, land, and sea applications. More than 150,000 aircraft use Astronautics products and equipment. Throughout the aerospace industry, Astronautics has become synonymous with quality products and reliability. Astronautics’ main product lines include integrated avionics systems, navigation systems, electronic flight bags, flight instruments, high resolution flat panel displays, mission and display computers, network server systems, flight directors, air data computers, airborne server units, and flap control systems. Astronautics Technology Center designs and develops cutting-edge magnetic refrigeration systems. Use: Expresstrain for SOPs, work instructions, training and support job aids. Artic Slope Regional Corporation – ASRC is owned by and represents the business interests of its approximately 11,000 Iñupiaq shareholders. Corporate headquarters are based in Barrow, Alaska, with administrative and subsidiary offices located in Anchorage and throughout the United States. As the largest Alaskan-owned company, employing over 9,000 people worldwide, the corporation serves shareholders who primarily reside in the eight villages within the region: Point Hope, Point Lay, Wainwright, Atqasuk, Barrow, Nuiqsut, Kaktovik, and Anaktuvuk Pass. Shareholders located outside of the region are located throughout Alaska, with a smaller number residing in the Lower 48. Use: Expresstrain for SOPs, work instructions, training and performance support job aids.